For any interested in assisting our teams, coaches or playing in 2008, please complete and submit a contact form and we will route your request to the proper PLABA Contact. SPONSORS for 2008 also welcome to register for 2008 mailing list to share your support or Prior Lake Hardball with the thousands of fans expected to watch and play at The Vet in 2008. Keep checking back as 2008 Season is communicated via Priorlakebaseball.COM, your source for your local nines! -PL Jay Tony Doherty completed his Junior campaign on the UMD Bulldog football team and was tabbed to NCC Academic honors while having a productive season at WR. Check back for links to his final campaign on the UMD baseball team in Spring 2008. -Former PL Jay Corey Goblirsch has been named Captain for the 2008 UMD Bulldogs. – Jays Ben Wartman selected as St Thomas MIAC Football League Special Teamer of the week blocking a St Johns punt in his Freshman season on the Tommie Football team. -Coaches Bill Reed and Mike Ogdahl have commenced planning for 2008 Laker Legion which should include a trip West for Tournament action in Rapid City, South Dakota against some the regions top teams. -PLABA pending as host on MBT State Tournament 2008 at 12/17 MBT Board Meeting. PLABA has hosted numerous Tourneys in recent season including 15AAA & 12A State Tournament Championships in 2007 at Thomas Ryan Diamonds, Ponds Diamond 7, Lakefront and Veterans Field of Memorial Park. -PLABA to host 4 games on Day 1 of 2008 State American Legion Tournament 8/7/2008 with Burnsville as the primary host. -PLABA selected as alternate site for MBA 2008 State Class B & C Amateur Tournament with Shakopee & Chaska as host sites. To keep the annual tourney on schedule the Vet will be prepared to accommodate games impacted by weather. 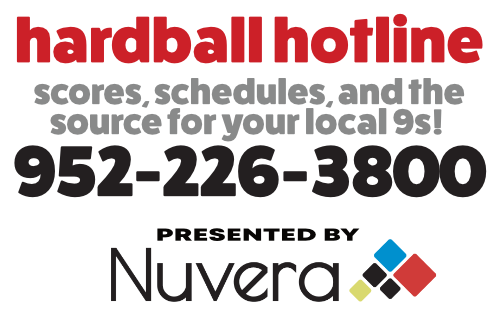 -Current Players, Boardmembers & Fans should call 952-226-3800 Integra PL Hardball Hotline for upcoming meetings, off season projects and potential informal holiday happy hour in coming weeks.